Kreative Jewels: Are You Ready for Easter? While many of you in North America are still covered in snow, Spring is in full bloom here on Vancouver Island. The cherry blossoms are blooming and the tulips are peeking out of the ground. It won't be long until there are flowers everywhere. 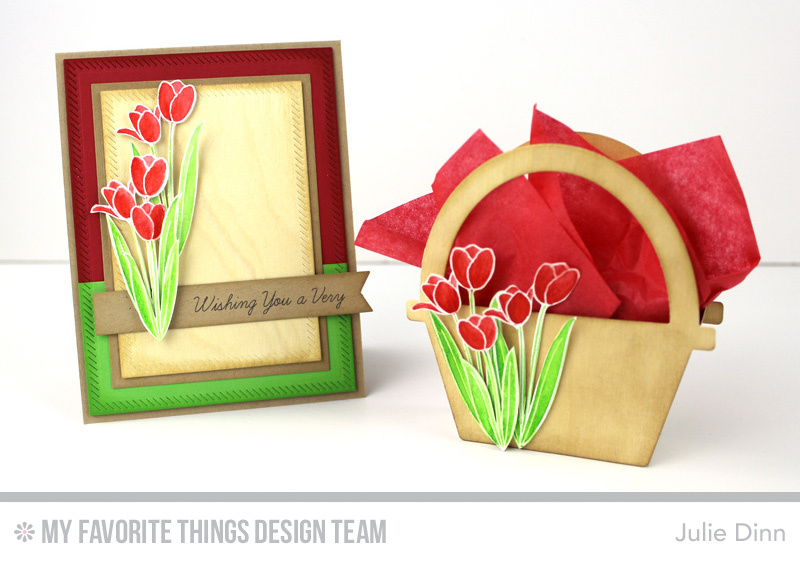 I always associate tulips with Spring and Easter, so when I saw the theme for this month's Creative Challenge, I knew exactly which stamp set I wanted to work with, Spring Tulips. 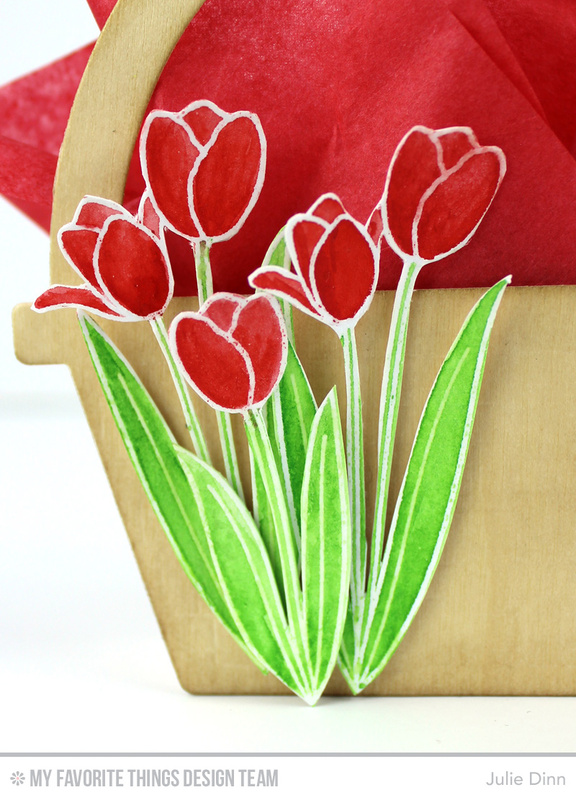 I stamped the tulips on water-colour paper with Versamark ink, and I embossed them with Clear Embossing Powder. 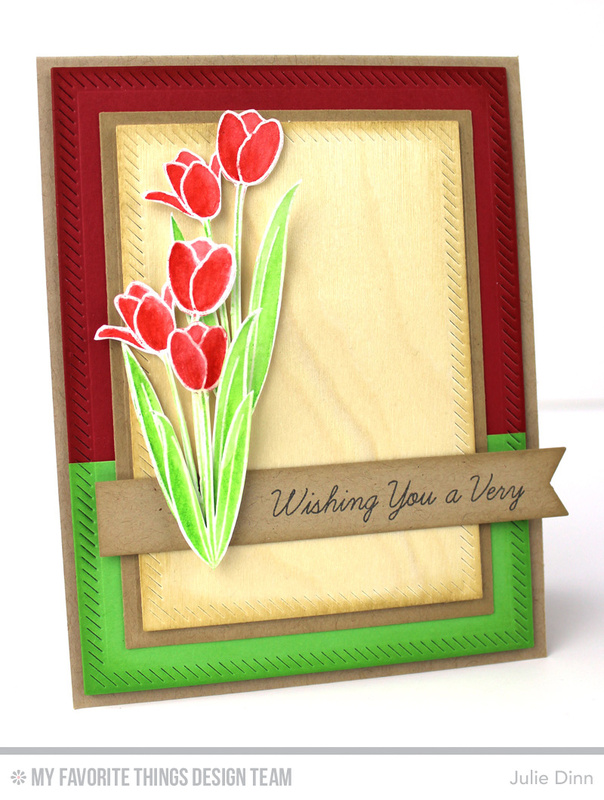 I coloured in the tulips with Gansai water colours and then I fussy cut them out. I placed them on a Birch Veneer panel that was die-cut with the Inside & Out Diagonal Stitched Rectangle STAX Die-namics. 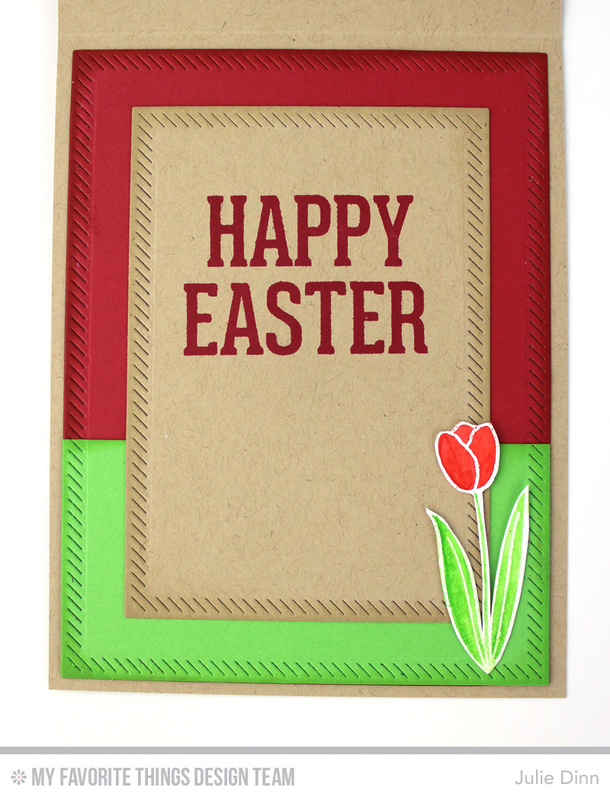 On the inside of the card, I stamped a sentiment from the Easter Bunny stamp set in Cherry Crisp Premium Dye Ink. I die-cut the sweet Easter treat basket in Birch Veneer sheets. 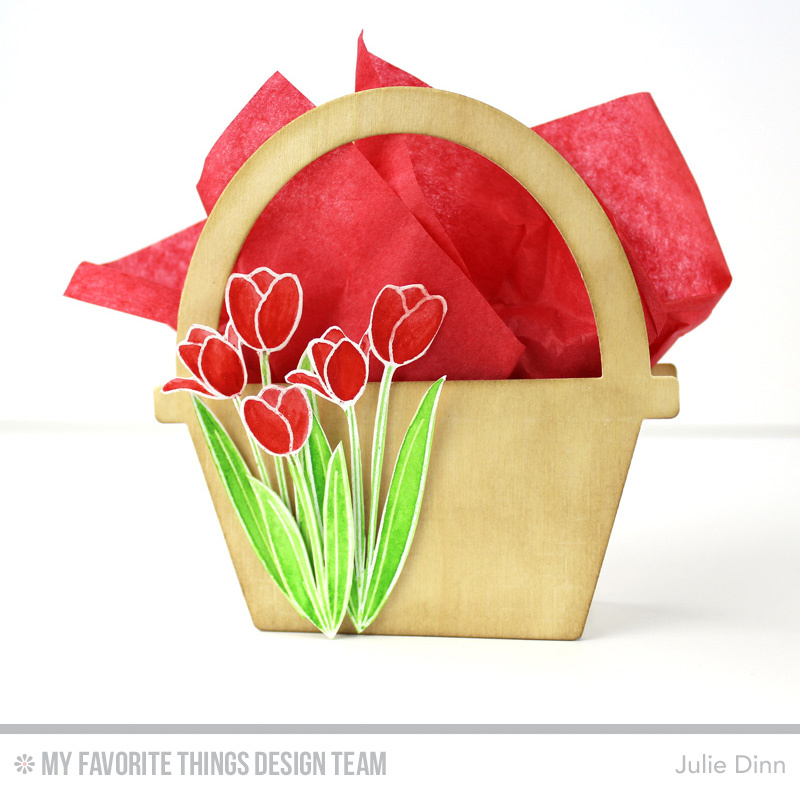 I used the Trapezoid Treat Box and Woven Basket Die-namics to create the box. Here's a quick closeup of the tulips. I really enjoyed using the Gansai water colours and I certainly look forward to practicing with them more in the future. Be sure to check out the MFT Blog to see all the Eater projects the design team has to share with you today. What a fabulous gift set! Inspiring application of color and uses! Julie, you have done an amazing job here. And your choice of colours are beautiful. Love it.